Simple arithmetic reveals that the eleven days under the Obama clock were 18-50% more deadly for Afghan civilians than the twenty days under the Bush regime – Marc W. Herold. The New Year’s first Afghan civilian killed by U.S/NATO action was a boy named Marjan (tr. Coral), killed on January 2nd. (1)The boy had allegedly wandered into a prohibited area in the Deh-Sabz district of Kabul. Marjan was walking home with friends when “international forces” gunned him down. The occupation soldiers got out of a white vehicle, shot Coral and sped away. Marjan is only one of 73-88 civilian Afghans or tribal Pashtuns killed by the U.S/NATO occupation forces during January 2009. 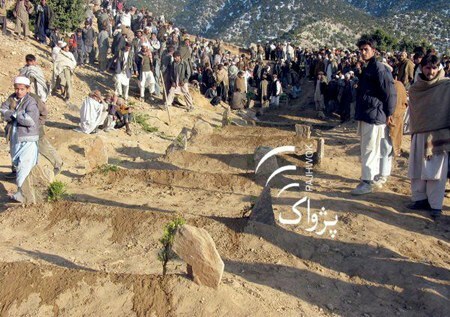 Three days later, eight Afghan women, two children and two civilian men were killed by Australian forces in the Chora district of Uruzgan Province. Much official ado has been made in Washington D.C. and in the U.S. corporate press about how the new Administration will be taking far greater care as regards Afghan civilians. Data analyzed below for January 2009 suggests that the deadliness of the Afghan war for civilians under the Obama clock significantly exceeds that registered under the outgoing Bush regime. Boys, women, girls, tribal leaders all have perished at the hands of the foreign occupiers. 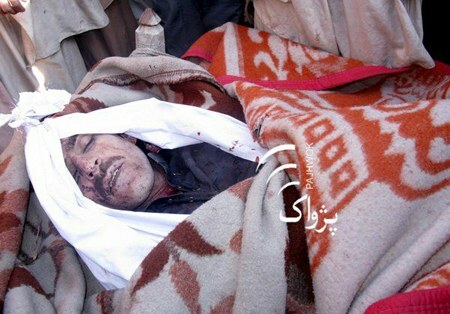 A civilian who was killed during a US-led coalition forces operation in Masmo village of Ali-shing district of eastern Laghman province. Data for January 2009 conforms to early civilian casualty data for 2001 insofar as relatively few civilians die per attack. (4) Of the twelve incidents during January, only three resulted in more than ten deaths. The center-piece to this information war has become the extent of civilian casualties in Afghanistan. Recognizing that the U.S/NATO and the Taliban each have a direct interest in spinning the message as to the extent, the gender and age of civilian casualties to its own advantage, necessitates having a healthy skepticism of claims coming from either side. Greater credence can be given to sources which are more independent, e.g., Pahjwok Afghan News, Agence France Presse, the Afghan Human Rights Commission, the Revolutionary Association of the Women of Afghanistan (RAWA) and the like rather than the more tainted ones like Associated Press, Human Rights Watch, UNAMA, Jihad Unspun, etc. The Afghan Victim Memorial data base attempts to navigate safely (as accurately as possible) in this sea of conflicting assertions. 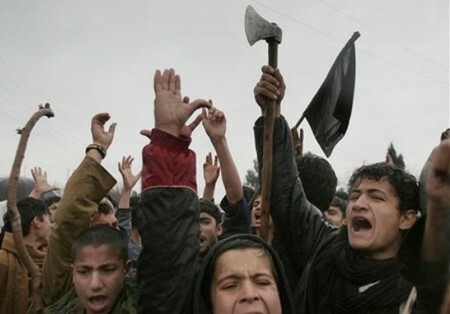 The combination of abusive behavior and violent breaking and entry into civilians’ homes in the middle of the night stokes almost as much anger and resentment toward pro-government forces as the more lethal air strikes. Afghan villagers’ reactions to U.S/NATO strikes may be viewed on a rare video put out by Al Jazeera. There is not a lot in common between President John F. Kennedy and President George W. Bush, but they were both ideological crusaders who got the United States mired in foreign wars it could not win and did not need to win. They then bequeathed those wars to presidents who had ambitious reform agendas in domestic politics and little interest or experience in foreign affairs. That bequest destroyed Lyndon Johnson, who took the rotten advice of the military and civilian advisers he inherited from Kennedy because there wasn't much else on offer in Washington at the time. Obama is drifting into the same dangerous waters, and the rotten advice he is getting from strategists who believe in the ''war on terror'' could do for him, too. In Afghanistan, 1,600 women die of complications out of every 100,000 live births, one of the worst rates in the world. Of every 1,000 newborn babies, 128 will not live beyond a year.